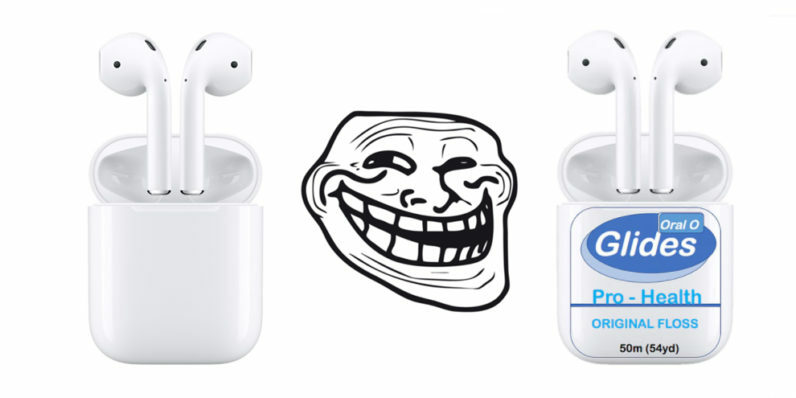 While compact, at $159 a pair, AirPods are certainly not cheap – which in turn makes them an ideal target for sticky-fingered Apple fan boys and girls. But there might be one viable anti-theft solution that will deter crooks from snatching your flashy new wireless earbuds. E-commerce vendor Etsy is now selling a nifty sticker designed to protect your pricey investment by disguising the AirPods as a cheap pack of dental floss. And let’s be honest, no sensible thief is stealing your teeth cleaning accessories. Specifically tailored to fit the AirPod case, the translucent sticker comfortably fits either side of the box, immediately turning it into a much less desirable theft target. Unfortunately, Etsy currently ships floss stickers only within US borders, but numerous users have taken matters into their own hands, coming up with alternative ways to achieve the same result. All you have to do is peel off a sticker from an actual pack of floss and place it onto the AirPod case. For those too lazy to make their own anti-theft sticker, Etsy is selling them for $4.99 a piece – including shipping costs. Taking into account you’ve already blown away $160 for the AirPods, spending the extra $5 seems like a reasonable expenditure. This isn’t the first time Apple enthusiasts have crafted inventive ways to avoid losing or getting their precious AirPods stolen. Earlier in December, Twitter user Andrew Cornett devised an ingenious solution to keep his earbuds in place by sticking them inside his stretched ear piercings.